Is “Cooler Corn” Safe to Eat? – You Asked It! Is “Cooler Corn” Safe to Eat? The method is described as washing the cooler with soap and water. 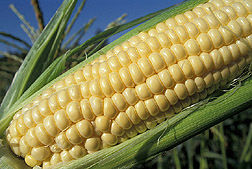 Place peeled corn in the cooler and pour boiling water completely over the corn. Close the lid and let stand 30 Minutes. Then, eat at your own risk! Coolers are not designed to be used for cooking. Boiling water can damage the plastic. Coolers can also harbor millions of germs from other foods such as raw meat. The best advice is to cook corn in a large stock pot for the safest results.